Foam Detection_JMCANTY_V3 from JM CANTY on Vimeo. 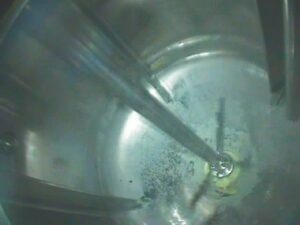 Process Cameras – Liquid Level from JM CANTY on Vimeo. CANTY Camera & Light Vision Systems are a patented design to view and illuminate the inside of a pressure or process vessel through a single connection. There is no need for multiple ports! CANTY can supply an integrally mounted camera and light (optional) in flanged, sanitary or NPT threaded process connections. CANTY fused glass technology provides a safe, high pressure, hermetic fused glass barrier between the process and the camera electronics.